Posted May 23, 2013 by Josette Farrell in Features. A young man from Claregalway has addressed a UN panel of road safety experts to launch a global initiative to reduce the number of road deaths at home and internationally. Stephen Lenehan, 21, from Lakeview, was one of only three Irish Rover Scouts to attend the event in Geneva earlier this month as part of Global Road Safety Week. The Scouting Ireland delegation joined their colleagues from 14 different nations and will begin to develop a programme on road safety policy that can be presented to the UNECE Working Party on Road Safety in September. The scouts interacted with international expert Profession Claes Tingvall of Sweden who challenged them to look at how it would be possible to achieve zero deaths from road accidents. “Road death is the number one killer of young people worldwide and Scouting Ireland is involved in a global initiative to stop the carnage on the roads,” said Stephen. Stephen had the opportunity to address the UN panel, which included Switzerland’s deputy transport minister, to which he put the need to invest more resources in educating young people about road safety. “People like me, in my age group are the ones we need to target as we are road users, with cars and are more likely to be involved in fatal road accidents,” added Stephen. 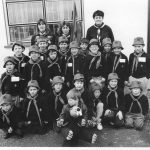 Stephen has been a scout since he was eight and his mother and sisters are also involved in the organisation in Claregalway. 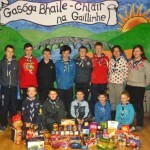 “My mother is a section scout leader here in Claregalway and Ciara and Emer are Rover and Cub Scouts respectively,” he said. “A lot of people don’t really know what scouts do and while our activities are varied and aimed at the different age groups involved, it’s through initiatives like the road safety plan that we can make a real difference in our communities. 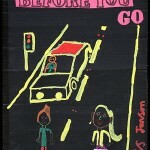 “As safe as we may think our roads are, regulation is still needed along with education for all road users. Stephen has a busy few months ahead with the Canada trip in August and a return to Geneva in September. “We’ve been invited back to the UN in September to give feedback from our experience and in the meantime we are working with other Rover Scouts throughout Ireland to formulate a programme that can be implemented to try to reduce the number of deaths on our roads. “If we want to change the world we must start by doing something real. According to a recent UN global status report, approximately 1.24 million people die each year on the world’s roads, with young adults aged between 15 and 44 years accounting for 59 per cent of global road traffic deaths. Scouting Ireland is the country’s largest volunteer led youth organisation with more than 45,000 members across the island of Ireland. 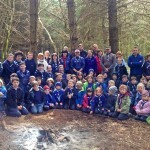 Scouting Ireland offers children and youths aged six to 26 educational programmes and activities in a fun, safe and adventurous environment.